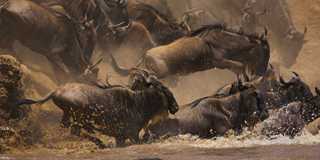 Safari in Tanzania and see one of the new seven wonders of the world, The Great Migration. 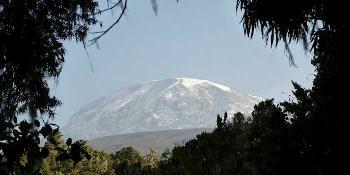 Kilimanjaro dominates Tanzanian tourism as much as it does the skyline. 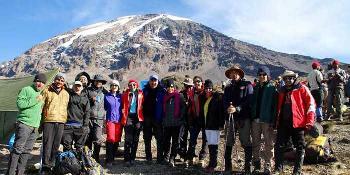 Africa's largest mountain is a majestic sight, a demanding climb and (for those with the agility and energy to tackle it) a deserving feat. Look beyond its shadow though and you will be rewarded with a UNESCO World Heritage site, plains dense with predators and ancient human history. 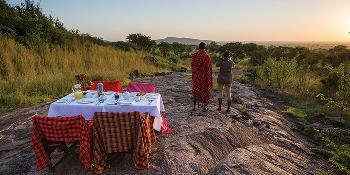 Rewards don't come bigger than the Serengeti. The boundless grassland of Tanzania's oldest National Park is home to lions, cheetahs and leopards, and it's so expansive that to witness a predator in action is often the preserve of your jeep alone. 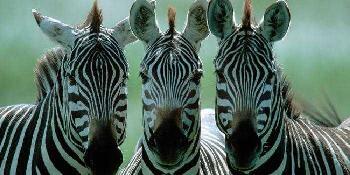 Among their prey are the gazelles, zebras and some 1.5 million wildebeest, which rove the desert for grass to graze. 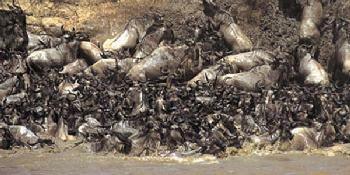 Following the calving season, this mass of hooves ascends north into Kenya. 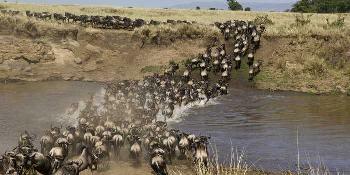 This spectacle is known as the Great Migration and is considered one of the New Seven Wonders of the World. 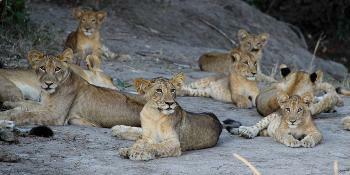 Predators are not in short supply either, and the UNESCO honoured Ngorongoro Crater boasts the densest population of lions on the planet. 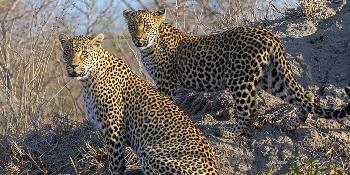 The Conservation Park is also home to the 'Big Five'. Today the park may be the preserve of wildlife, but there is evidence that humans once stalked the savannah. Fossils uncovered at the Olduvai Gorge include a giant horned sheep and enormous ostriches, but it's the Homo Habilis (the world's first humans) which are the area's most important discovery - though up against two million years of human history, even the Kilimanjaro can seem insignificant. 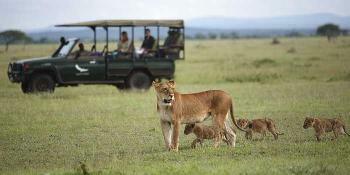 Arusha is located in the north of Tanzania, and is perfectly positioned for all Northern Circuit parks, making it the safari capital of Tanzania. 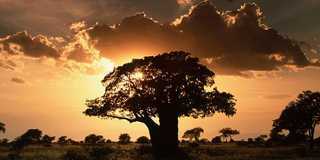 The area is cool, lush, and a hub of activity with many safari-goers passing through the city. 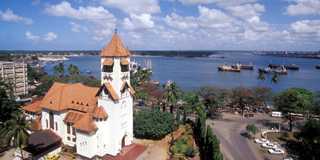 The former capital of Tanzania, Dar es Salaam, is not generally thought of as a must see destination. However, a walk around the city centre will reveal its charm and culture, with its picturesque seaport, historic buildings, shops and good restaurants. 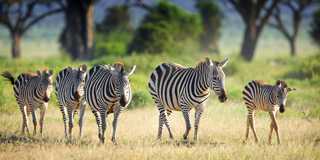 Katavi National Park, one of Tanzania's most westerly parks is remote in the extreme, and with relatively few visitors a year, it is the ultimate in off the beaten track safari destinations - a perfect place for an authentic safari experience. 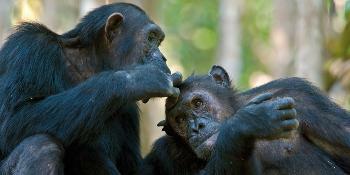 Mahale is one of the best locations in the world for viewing chimpanzees in the wild. 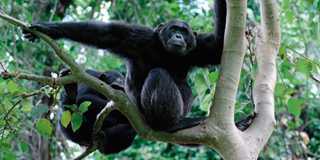 It is one of the most remote and beautiful national parks in Africa and is located about half way down the eastern shore. 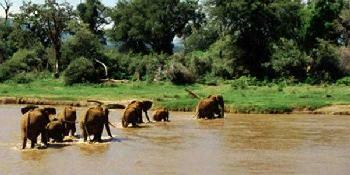 Beneath the cliffs of the Manyara escarpment, this park offers a tapestry of woodland, grassland and swamps. The lush forest is home to hundreds of baboons, blue monkeys and many birds, but Manyara is most famous for its tree-climbing lions. Mikumi is located west of Dar es Salaam. 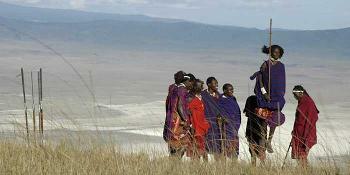 The main feature here is the open grasslands of the flood plain, which is bordered on two sides by mountain ranges. 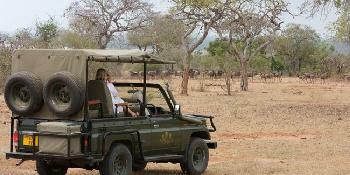 The area is teeming with wildlife, with plenty of elephants, zebras and giraffes. 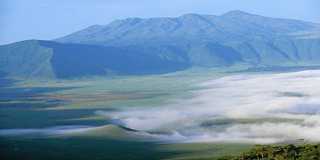 Around 2 millions years ago a large volcano exploded and collapsed on itself to create the extraordinary Ngorongoro Crater. Today it plays host to some of the most captivating wildlife in the world and is one of the most popular safari destinations. 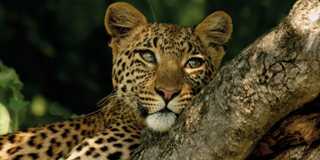 About the size of Belgium and relatively remote, with an unusual combination of East and Southern African wildlife and birds. 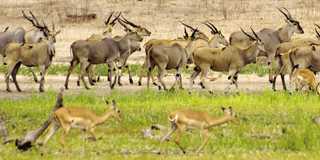 The park is noted for large numbers of greater kudu as well as lesser kudu, sable and roan antelope. 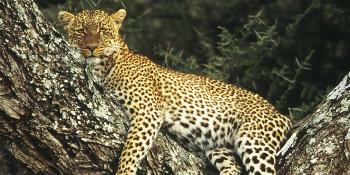 The Saadani National Park is located on the northern coast of Tanzania, opposite the island of Zanzibar. It is one of the newest National Parks in Tanzania, and the only one that is fringed by the Indian Ocean, making it a truly unique safari destination. 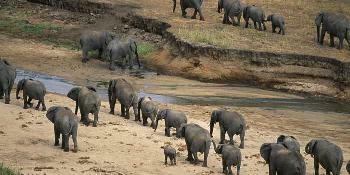 Selous is an unspoilt gem that is said to be the largest game reserve in Africa and to contain the world's largest concentration of elephants. 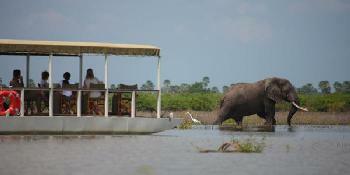 There are also huge numbers of buffaloes, crocodiles and hippos. 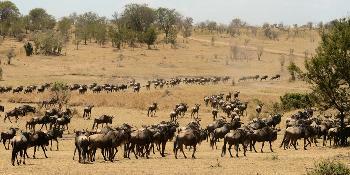 The word 'Serengeti' is derived from a Masai word meaning 'endless plains', a fitting title for Tanzania's most famous national park which plays host to over 1 million wildebeest during the great migration. 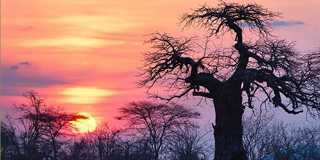 Immense baobabs, acacias and mixed woodland punctuate the plains, whilst the Tarangire River and shrinking lagoons attract a variety of wildlife including wildebeest, zebras, elephants, elands and oryx. Zanzibar boasts amongst the best beaches in the world, with coconut palms and powder soft coral sands washed by shimmering clear seas. 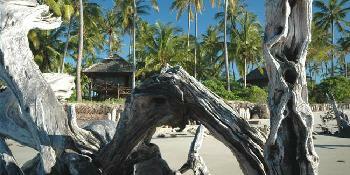 The beaches in Zanzibar are paradise, scattered with picturesque fishing villages. 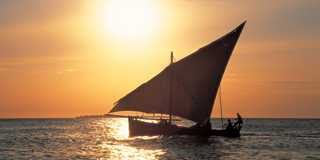 Zanzibar is a group of islands, one of the largest being Pemba Island. 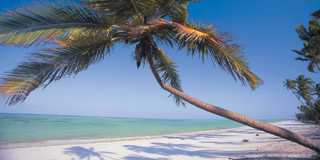 The smaller satellite islands include Chapwani Island, Mafia Island, Mnemba Island, Chumbe Island and Bawe Island. 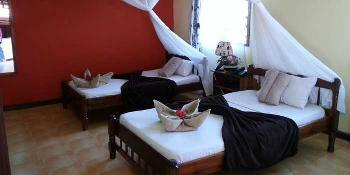 Stone Town is the old city and cultural heart of the island of Zanzibar. Little has changed here in the last 200 years. It is a place of winding alleys, bustling bazaars, mosques and grand Arab houses. 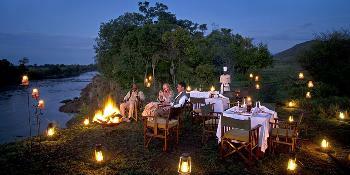 A truly 'Out of Africa' experience through contrasting landscapes with stays in some of the most luxurious accommodation Tanzania has to offer. 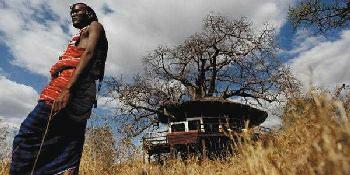 Southern Tanzania is all about the feeling of wilderness. 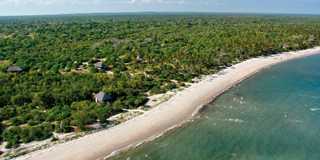 Wildlife is in abundance and people are not, so matching a safari in this region with an equally appointed beach property might seem difficult. This is a short itinerary that packs in a lot, combining game viewing in some of the most popular safari destinations with quality Sopa Safari Lodges, located in some truly breathtaking locations. This 5-night safari visits some of the best and most prolific wildlife destinations, not only in Tanzania, but in the whole of Africa.